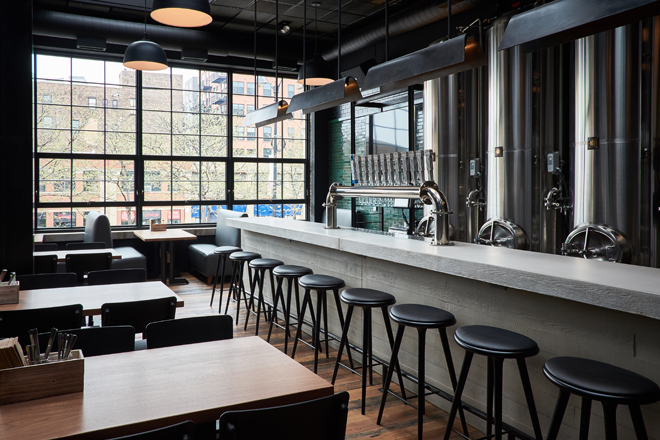 One of Top 34 Best New Breweries in the U.S.
"A fresh narrative on what barrel-aged beer can be"
Open at 11am Tuesday – Friday. Open at 10am Saturday – Sunday. Closed Mondays. Sunday Funday: Half-priced brewer’s choice draft beer. Taco Tuesday: Chorizo-Potato Tacos all day $4/each or $2/each 4-6pm. Wednesday-Friday: $3 brewer’s choice draft beer and $3 Milagro Tequila shots 4-6pm. Looking for Cruz Blanca gift cards? Inspired by Mexico. Brewed for Chicago. 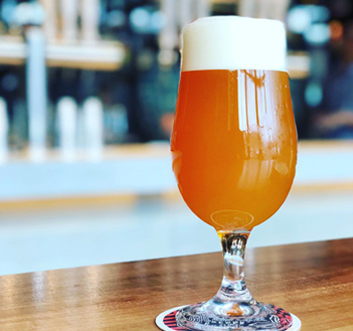 Cruz Blanca is a small-batch Chicago brewery passionately focused on ModMex lagers, sunny IPA’s and tropical wild-fermented sours. 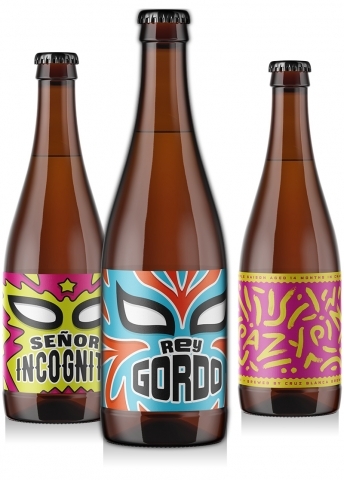 Inspired by the original Cruz Blanca Brewery that opened in Mexico City in the 1860’s. 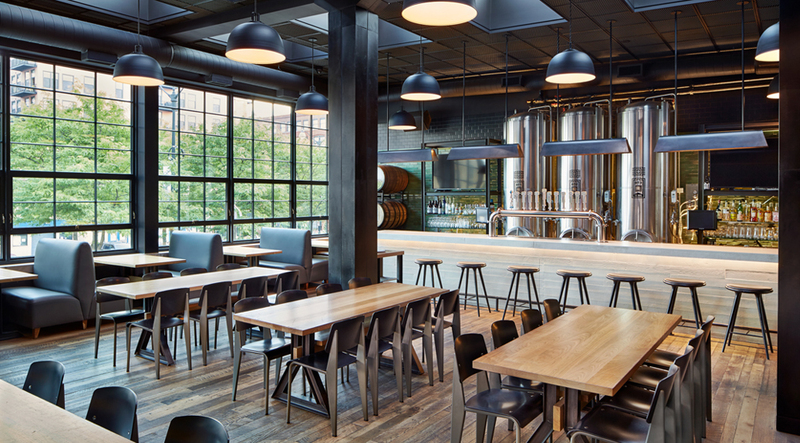 Brewery Tours are held every Saturday at 3 p.m. and are $10 a person. Cruz Blanca’s taquería takes its inspiration from the “smoke alley” at Oaxaca’s Mercado 20 de Noviembre, where thick plumes of smoke foretell the primal pleasures of wood-grilled meats. 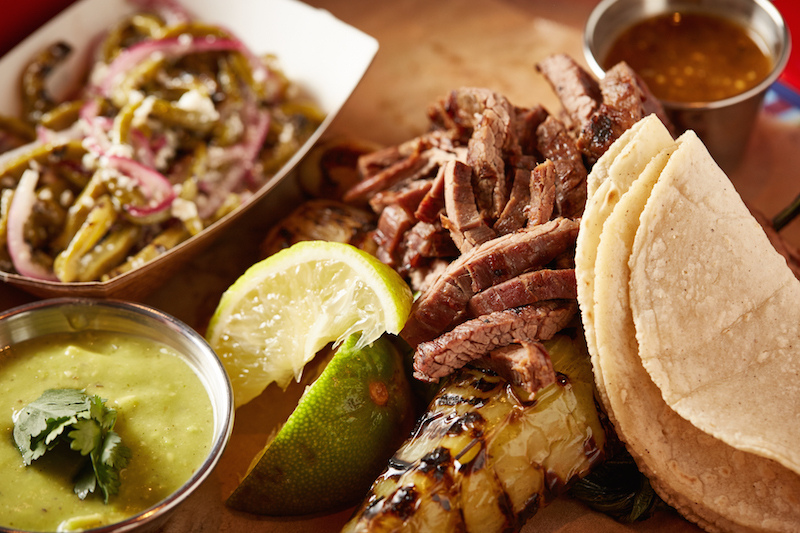 Here, you’ll choose your main attraction —half-cured flank tasajo, chorizo, chicken or portobello— and our taqueros will pile it all on a big beer tray with accompaniments of wood-grilled knob onions and peppers, smoky Oaxacan pasilla salsa, guacamole, crunchy pico de gallo, and limey cucumbers. And, of course, a stack of fresh-made tortillas. Not into tacos? We also offer Oaxcan-style tlayudas — gigantic 14-inch, shareable tostadas with black bean spread, cheese, grilled knob onions, güero chile, green salsa and your choice of wood-grilled protein. Plan the perfect fiesta with crowd-pleasing fare from award-winning chef Rick Bayless. Our catering and private events menus are filled with soul satisfying flavors from Mexico. Your guests can make their own tacos with our house-made corn tortillas and choose from an array of toppings. Include our freshly–made guacamole, amazing sides, and stellar house-beers for a fun fiesta spread at Cruz Blanca or packaged to go for your catered event. Please note this form only serves as a request. We appreciate advanced notice so we can provide what you need, when you need it! Once submitted, a member of our team will contact you for order confirmation. Feel free to also email us directly at catering@cruzblanca.com. Cruz Blanca is closed Mondays. Order in increments of 10 people. Include taco fillings, accompaniments, heirloom corn tortillas. Includes 2 tacos per box (your choice of one filling per box), side of chips, salsa and guacamole. Each side serves about 10 people. Please select quantity. Please select quantity of items. Specific growlers can be requested in our “notes” box (subject to availability). Or our party coordinator can suggest them for you. Please select quantity of items. Check the items you'd like to add. Cruz Blanca will adjust quantity to fit your party size and order. Emil Dercher, a brewer working in the great Alstatian technique of bottle-conditioning and using local botanicals, left France and made his way to Mexico City, where he sold beers under the Cruz Blanca label. 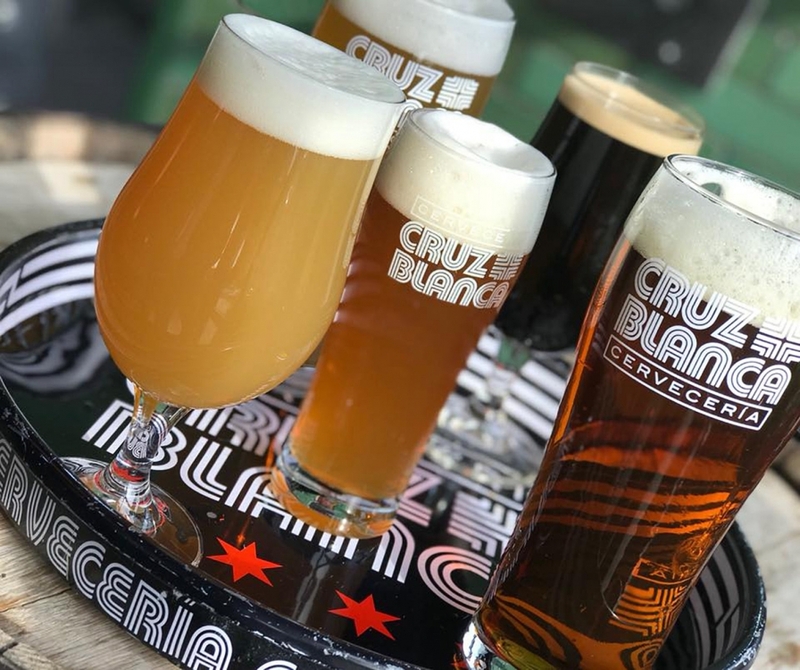 It’s in that same adventurous spirit that we’ve reestablished Cruz Blanca Brewery in Chicago. 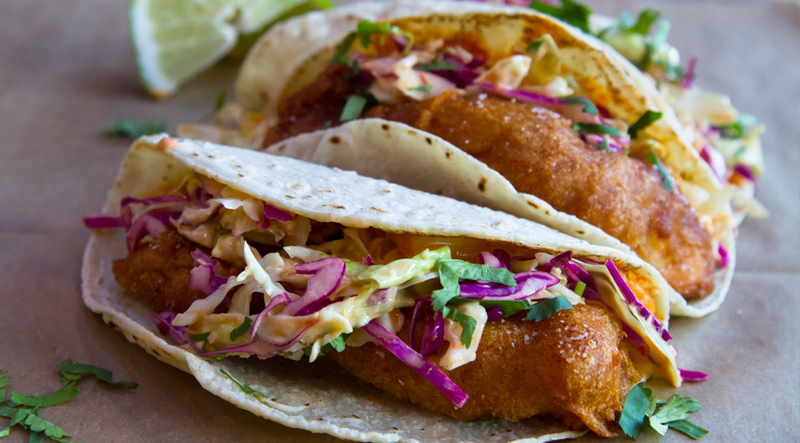 Cruz Blanca is a place to settle in and sample craft beers served with tasty tacos, tlayudas and chilled vibes. Yes, please add my email address to the Cruz Blanca mailing list. BACK TO TOP | GO TO RICKBAYLESS.COM > | COPYRIGHT © 2019 RICK BAYLESS. ALL RIGHTS RESERVED.